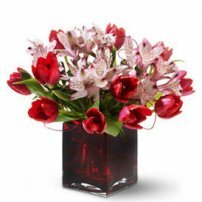 Gorgeous, glamorous and dreamy. 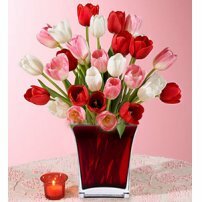 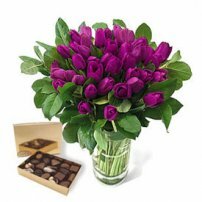 Share this amazing arrangement of tulips to melt someone’s heart! 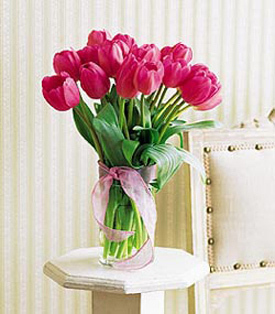 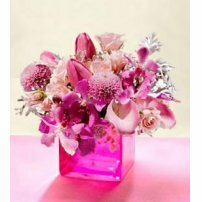 Arrangement of 10 hot pink tulips in a glass vase.